Magdalene Odundo OBE is one of the world's most esteemed artists working in ceramics. 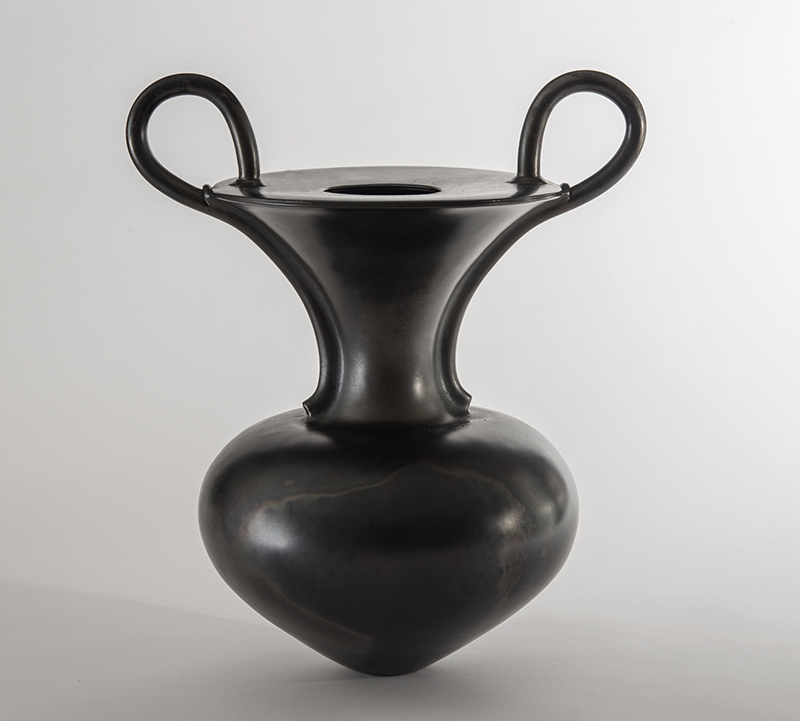 This major exhibition will bring together 50 of Odundo’s works, including a vessel made in 1978 from Wakefield’s art collection, which was the first of her works to be purchased by a public institution. These will be shown alongside a large selection of objects chosen by Odundo from across the globe and spanning 3,000 years, to reveal the rich and diverse range of making traditions that have informed the development of her own work. Born in Kenya in 1950, Odundo moved to the UK in 1971 to attend art school. After choosing ceramics as her preferred medium, Odundo travelled to Kenya, Uganda and Nigeria to study their ceramic traditions. Odundo’s desire to learn about vernacular crafts has taken her across the globe to Europe, Africa, Asia and Central America. This journeying has inspired Odundo’s own unique visual language – her hand-built forms are often asymmetrical, large in size and with dynamic silhouettes that often conjure the human body. The vessels are burnished rather than glazed and fired in ways that create her distinctive surfaces of vibrant orange, velvety black, or a dramatic interplay of the two. The exhibition will culminate in Odundo’s largest work, Transition II, an impressive installation composed of 1,001 individual glass pieces made in collaboration with glassblower James Maskrey during a residency at the National Glass Centre in 2014. Magdalene Odundo: The Journey of Things is organised by the Sainsbury Centre in partnership with The Hepworth Wakefield.